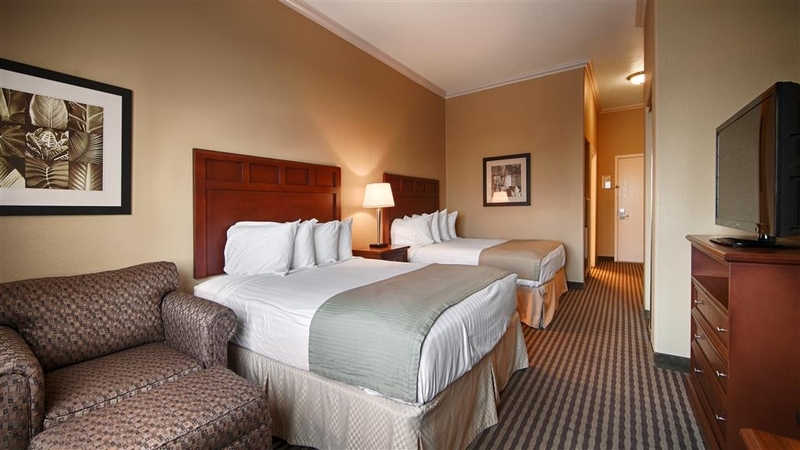 El Best Western Hebbronville Inn se encuentra en el centro de Hebbronville. Venga y disfrute de las mejores atracciónes turísticas cerca de nuestro hotel. Precios bajos garantizados y ofertas exclusivas. 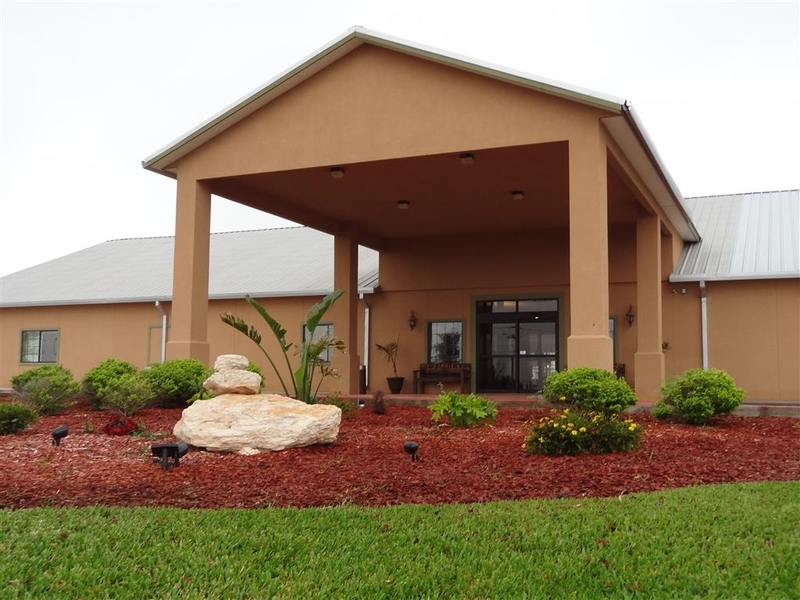 Los hoteles de Hebbronville, Texas, son ampliamente conocidos por proporcionar la auténtica hospitalidad sureña, pero durante su viaje usted merece además un hotel que cuenta con una excelente ubicación y una fantástica relación calidad-precio. En nuestro hotel de Hebbronville, podrá encontrar un amplio espacio de estacionamiento para camiones y estamos especializados en prestar nuestros servicios a camioneros, viajeros por carretera y amantes de las actividades al aire libre. Con una excelente ubicación para salir de caza, somos plenamente conscientes de que la temporada de caza es su momento para brillar, ponerse en contacto con la naturaleza y relajarse. Es por ello que nuestras amplias y elegantes habitaciones se han diseñado pensando especialmente en su comodidad. Los viajeros estarán situados a solamente unos minutos de los principales enclaves de caza del país pero se podrán sentir como en casa al volver por la tarde para disfrutar de nuestras lujosas camas y unas tranquilas habitaciones. A medio camino entre Laredo y el área de Freer Oilfield, este hotel de Hebbronville goza de una ubicación verdaderamente imbatible. El desayuno se sirve de 5:30 a 9:00 horas y corre de cuenta del hotel. La mejor forma de comenzar el día es con un suculento desayuno norteamericano. Disfrute de suculentos gofres, fruta fresca, pasteles, surtido de cereales y yogur. El suministro ilimitado de jugos y café 100% Arabica complementa a la perfección la comida más importante del día. 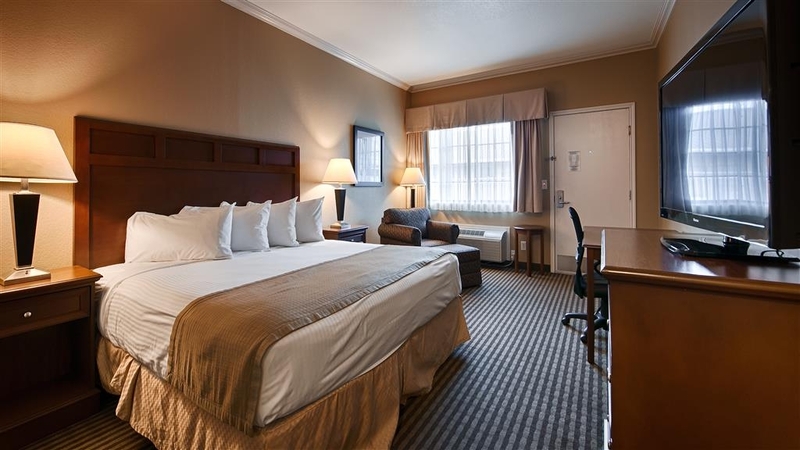 El Best Western® Hebbronville Inn le ofrece todo lo que pueda necesitar para disfrutar de una magnífica escapada. La zona acoge el Vaquero Festival y no debe dejar igualmente de visitar los numerosos restaurantes locales con especialidades a la barbacoa de Texas. Este hotel goza de una fantástica ubicación en una zona poblada por ciervos de cola blanca, así que si nos visita durante la temporada de caza, no tendrá que desplazarse muy lejos para comenzar su jornada de caza. Los empleados de las empresas pertenecientes al sector del gas y el petróleo, el ferrocarril, la energía eólica y los agentes de la patrulla de fronteras han convertido nuestro hotel de Hebbronville en su segundo hogar. 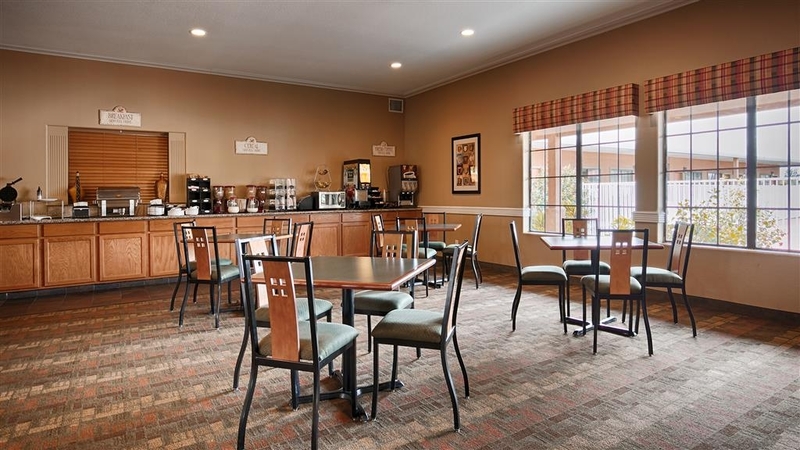 Este hotel BEST WESTERN de Hebbronville, Texas, es el lugar perfecto para su viaje gracias al excelente servicio y las instalaciones de calidad. Aquí podrá disfrutar de una cómoda estancia en familia y de una cálida bienvenida. Reserve su próxima estancia en el Best Western® Hebbronville Inn hoy mismo y disfrute de un viaje inolvidable. Disfrute de su estancia en nuestro hotel. 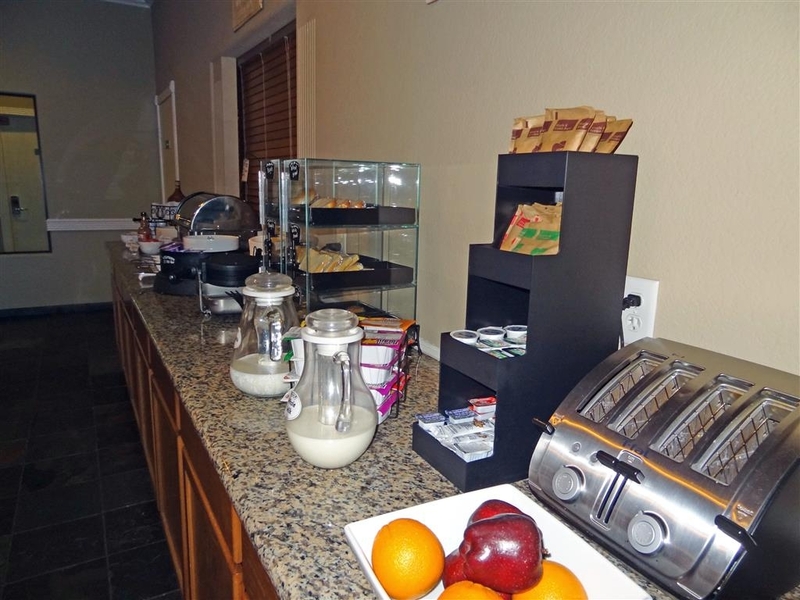 The rooms were very clean and spacious, the breakfast was fresh and everything tasted great, the staff was nice. The look of the hotel was awesome! Overall experience was great! Will definitely stay there again when visiting family! Considering it's a small town and selection are few but for a Best Western it should've been maintain better cleanliness of their rooms. Provide the right size bed like their website advertised not a full size. We have always had a great stay at this hotel. The rooms have always been clean. The coffee served is very good each time. 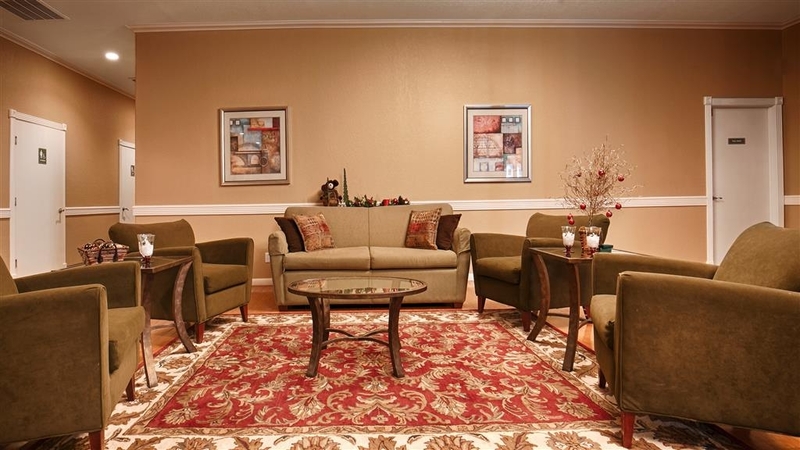 Mr.Patel and his staff have always been very welcoming and helpful throughout our stays. We will continue to stay there when we visit in Hebbronville!! Highly recommend!!! 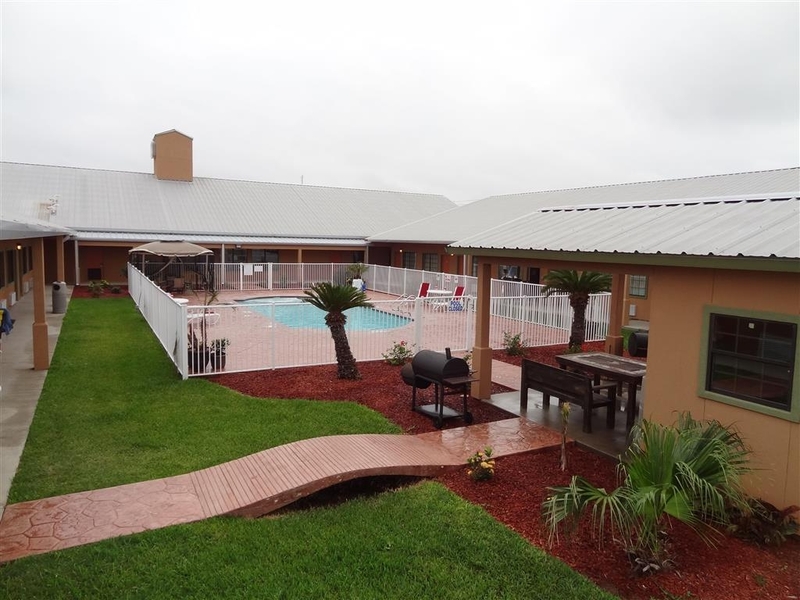 By far the best hotel or motel facility in Hebbronville or within 30 miles. 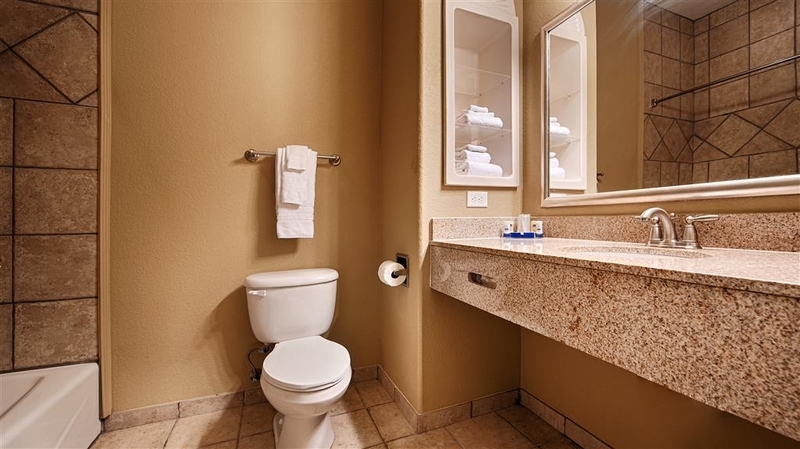 Somewhat higher rates than most South Texas hotels with comparable quality. Well kept and clean throughout. Breakfast is above average. A very nice place to stay. Danny and his staff were extremely helpful as always. Smooth check in and check out and I would definitely recommend staying here. I have stayed here many times and it is always nice. Good Experience! "Great service, I will continue to go back and also recomend to others to visit Best Western in Hebbronville"
Great service, I will continue to go back and also recommend to others to visit Best Western in Hebbronville. I will continue to go anytime I have a trip to Hebbronville or just passing by. The staff is great and so is the management. "Nobody Knew How to Work the Remote Control"
So, after walking in and asking for the best rate, I was quoted 15 dollars over the Best Western website price. Instead of honoring the Internet pricing, the front desk person made me go on my phone and reserve the room on the web. Next, (I was only staying one night) the front desk told me that no one was available to fix my remote because housekeeping had gone home for the day. I told her I would Google how to pair the remote to the DirectTV receiver, and she said, "okay". WORST CUSTOMER service. Stay away from this Patel establishment. We have stayed there several times and have been very satisfied with the rooms and service each time. The rooms have been clean and we have enjoyed the breakfast served each morning. 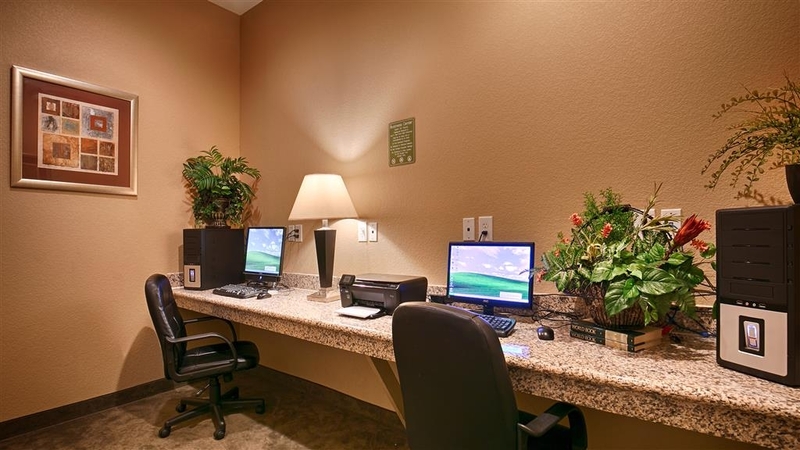 The staff has always been very friendly and accommodating. 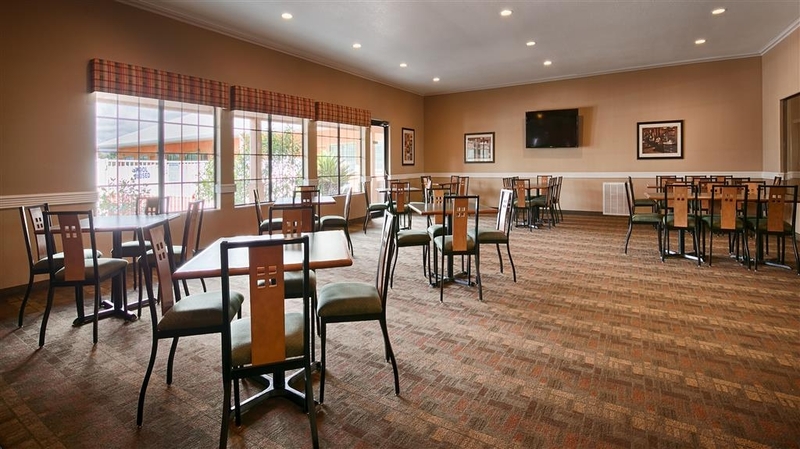 We will continue to stay at this Best Western when we go visit family in Hebbronville. Thank you! The employees are very rude and inattentive. The sheets were dirty, The covers smelled like dogs. I never like staying at this motel but Hebbronville has little to offer as far as lodging. When we tried to call the office the phone is never answered. Overall, hotel is above average for BW. Some problem with local insects in room. Staff considerate and breakfast above average. Nice appearance and pool area. Unfortunately, no other national chain choices in area. Great hotel. They even worked with me on a rate. Since we stayed there for 6 nights. The staff was great too. Regina & Marcus were awesome. Never got the lady's name that did breakfast each morning. She greeted us each morning we went to eat. There 3 other hotels in the area but this ones located east of town. 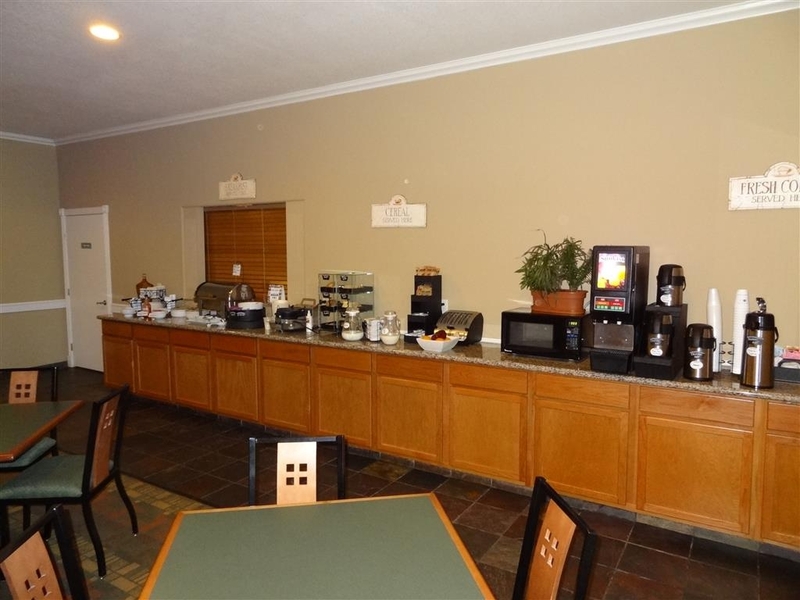 Flat screen TV, fridge, microwave, coffeemaker & all rooms. Washer & Dryer works great @$1.50 each. Or they'd be glad to do your laundry for $20, I had 3 days worth so it was worth it to me. Breakfast wasn't anything fancy Judy you ordinary stuff. But they have cranberry juice instead of apple juice. We'd stay here again when in the area. 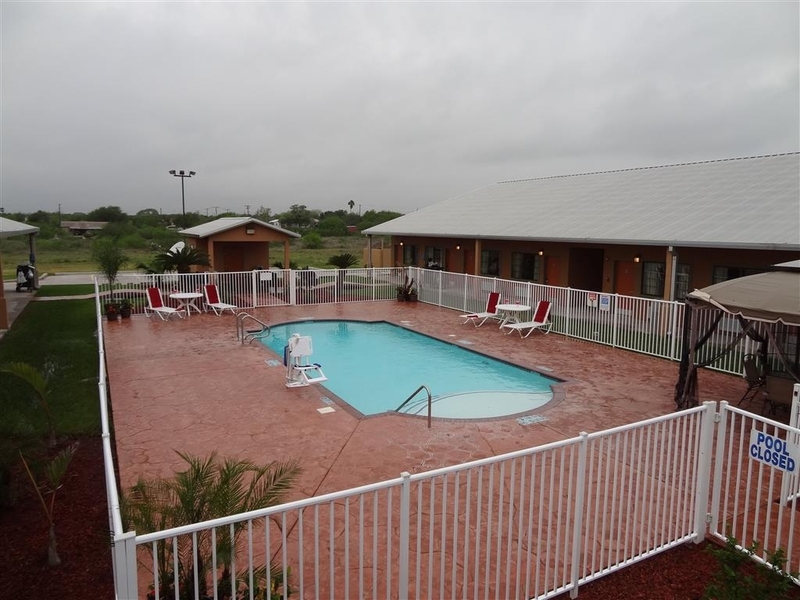 "The BEST in Hebbronville, Texas"
Nothing more to say .. if you are staying in Hebbronville, Texas - this is the best motel and the best place to stay while in town .. safe and secure ... quiet and a little off the main drag through town .. which makes for a more quiet and secure setting. The Best Western Hebbronbille Inn was outstanding. 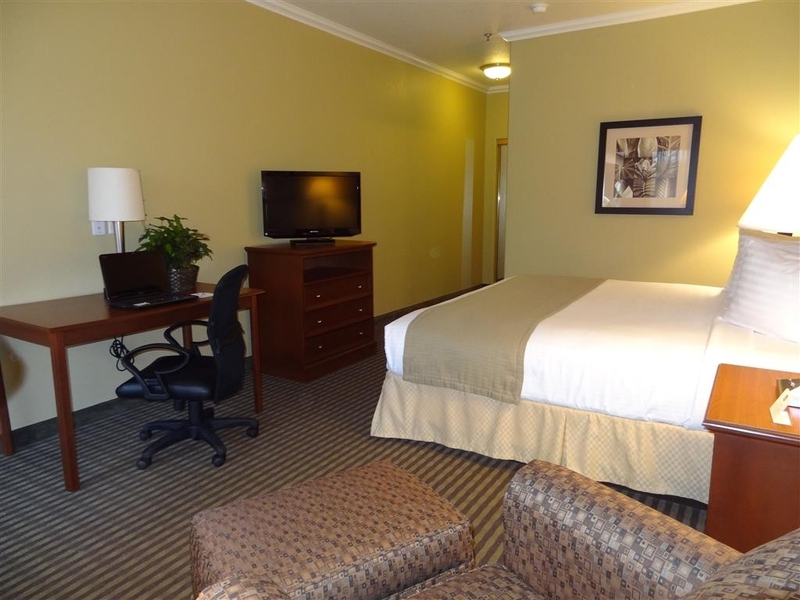 Immaculate rooms, healthy and delicious breakfast abound, wonderful staff, great pool, and cold/dark/comfortable rooms. Highly impressed. This hotel is close to a few restaurants and churches in the area. Bring a bike and pedal around the neighborhood...it is so vintage and artsy. Hebbronville could be the new Marfa. Thank you for a wonderful stay! We stayed one night at the Best Western in Hebbronville. 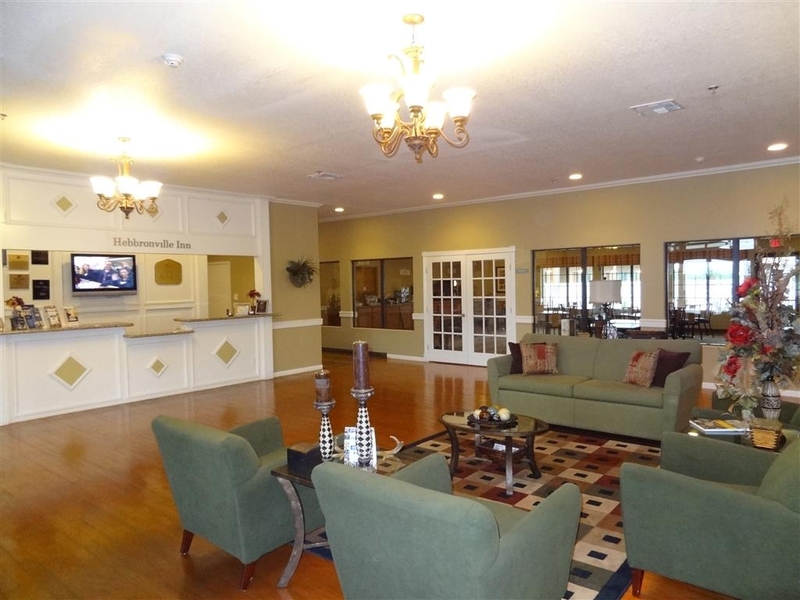 The hotel was clean and comfortable and the people were extremely kind and helpful. I would definitely recommend this hotel for anyone staying in Hebbronville. We will be going back there in June and we will be staying there again. having to swipe key in 2 different doors is not fun at all, especially when checking in and out. When you have a bag or two in your arms, key in wallet, having to place bags on floor, grab key, swipe is not fun. "Good experience with school group"
We stayed at this hotel for a school competition. There were three schools staying in this hotel, and the staff was very courteous to them. They allowed our students to hang out in the dining area, hook their video game up to the tv there, and sit and visit without issue. Members from all schools were there, and all students were very well behaved, so I'm sure that helped their decision. The double queen room was very large and comfortable. The only issue I had was a spider in a web above the door, but I didn't even mention it to the staff. I'm sure if I had, they would have taken care of it, though. I would recommend this hotel if you have cause to stay in Hebbronville overnight. "Rooms confirmed, yet given away"
I was coordinating a field trip with high school students and confirmed 9 interior rooms for a Monday night. The owner's wife arranged everything and sent me confirmation numbers for the rooms. I told her that we would be arriving late that evening. When we arrived, the staff told me that one of our rooms had been given away to someone who was "real upset" about not having an interior room. So, I was stuck with a room that opened to the outside. That is not safe or practical for students and so I said as much. The only thing I was offered was to roll some extra cots into a remaining room with a King bed. This is not a real solution to the problem that they gave away one of my confirmed and paid for rooms. I will NOT be returning to nor recommending this hotel. Good Day Sarah Thank you for your response on your recent stay at our property. I apologize the stay did not meet your satisfaction. Your business is important to us and unfortunately on that day we had unexpected stay overs and could not honor all the requests. I would like the opportunity to discuss this further with you since you are a value guest of the Best Western brand. 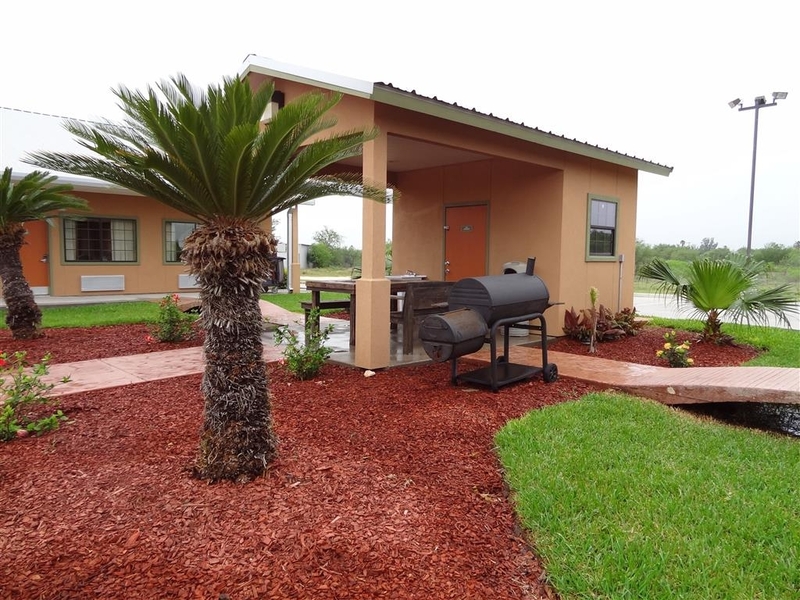 Please reach out to me at the property directly 361-527-3600 and or via email [email protected] I look forward to speaking with you and thank you again for your review. "It's an okay place to stay"
The room was clean. The trash on the property, however, does not get emptied enough. Housekeeping is kind of loud if you are trying to sleep in. The toilets are really, really tiny which is odd. 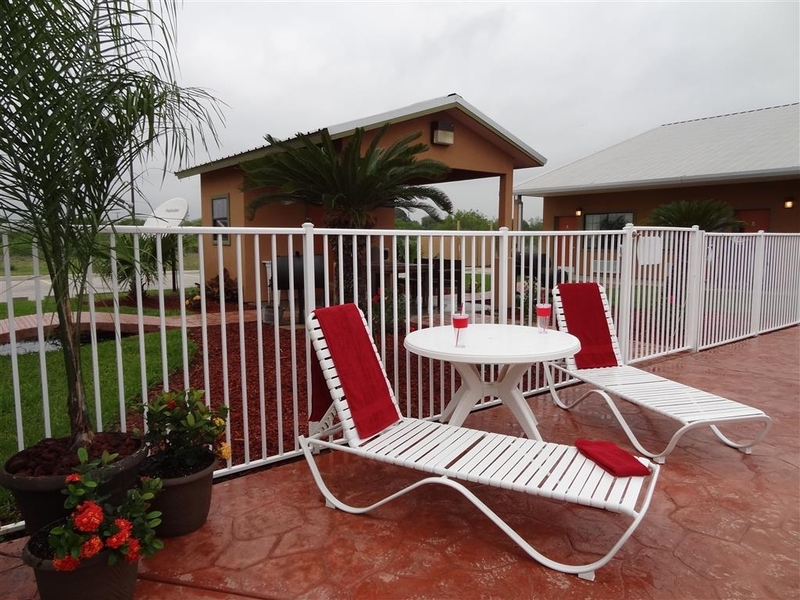 Overall, it's an okay place to stay and there isn't much choice in Hebbronville. 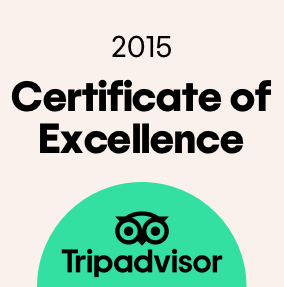 "excellent place to stay to my experienc." very comfortable and quiet place, I think that breakfast needs to stay up at list till about 9 am for some people that wait up late. maybe some coffee or danishes to offer if no breakfast left. orange juice or milk would be greatly appreciated. other that is everything is great at this motel. I would recommend to my family and friends. "Meh, less than I expected "
Thought this place would be awesome, not what I expected. Dead roaches on the floor! 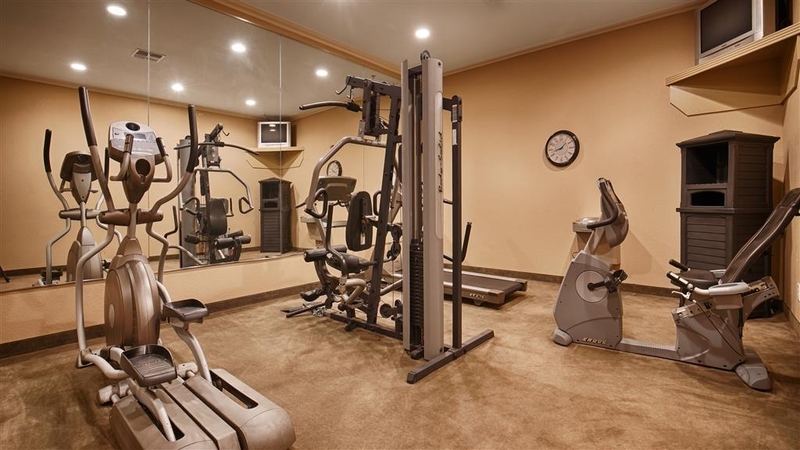 I will be speaking with management as this room cost over $100. Very dissapointed. The room itself seems 2 be okay but I found the dead bugs in bathroom and main sleeping area, yuck! Motel is well taken care of and clean but high rates. Room clean but refrigerator frozen over. Good beds and interior furniture in good shape. Clean pool and nice grounds. This is a small country town in middle of nowhere, why such high rtes? 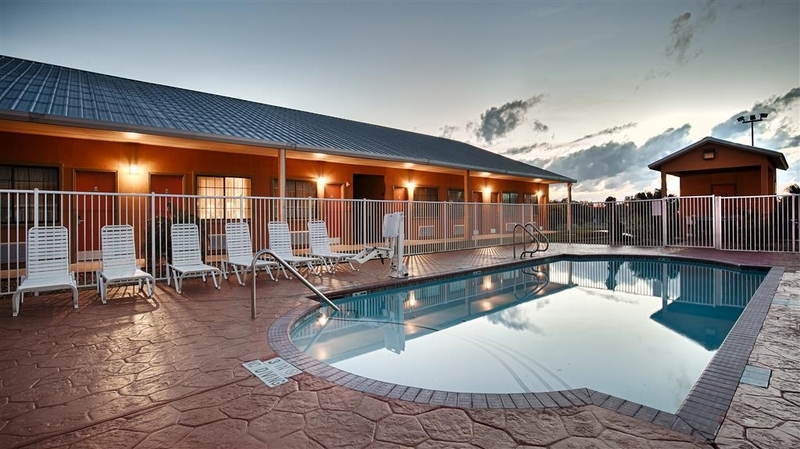 Hebbronville Best Western is the only acceptable hotel in Hebbronville. We have noticed a steady decline in the room and continental breakfast over the last five years. We stay several times a year because of family in the area. My employer booked me a room here for a month and I enjoyed my stay. Since the moment I walked in the front desk clerk Christina was very polite and attentive, she even offered to help with my luggage. She pulled up my reservation and got me checked in quickly with no problems. My room was very clean and was kept clean my entire stay. I will definitely be staying here again. Forced to accept rooms other than the rooms reserved. This is second time that we were promised one room then it was given to others prior to our arrival. Staff poorly trained and not customer oriented.